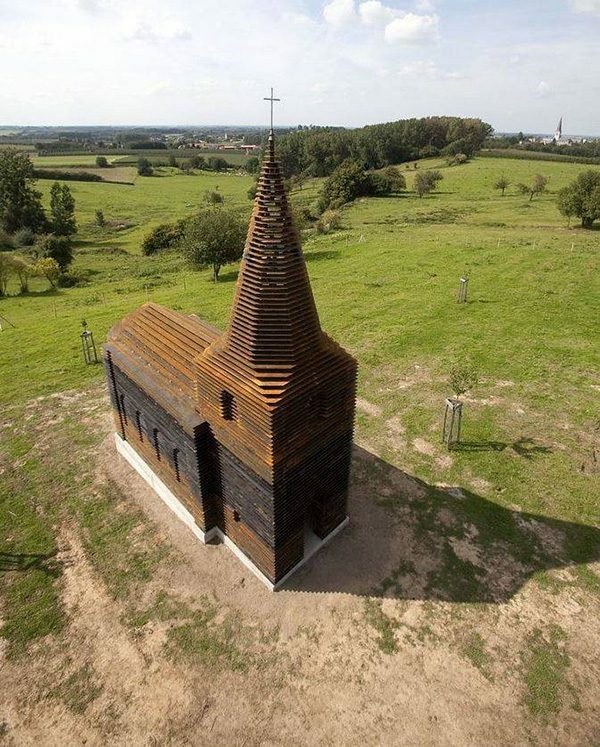 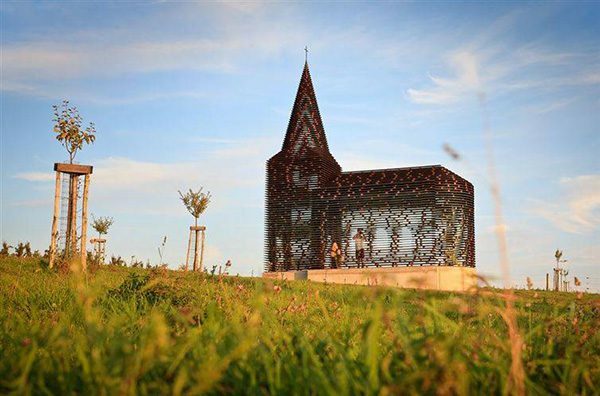 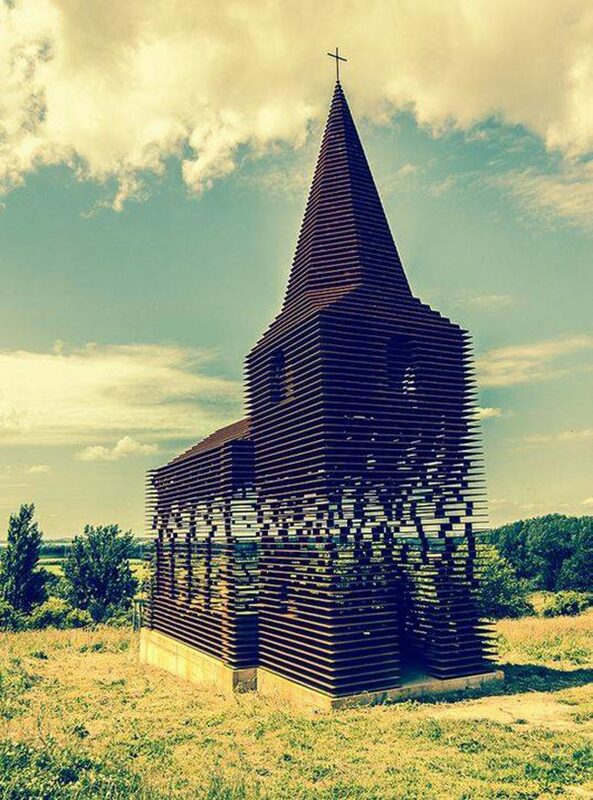 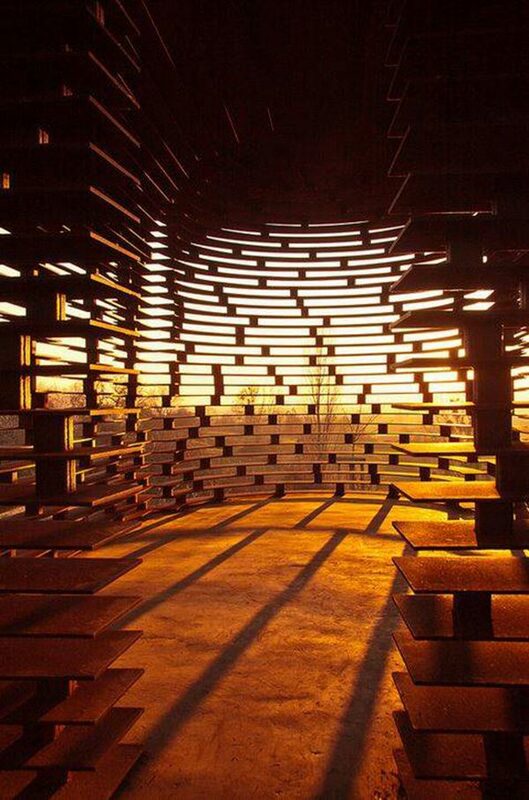 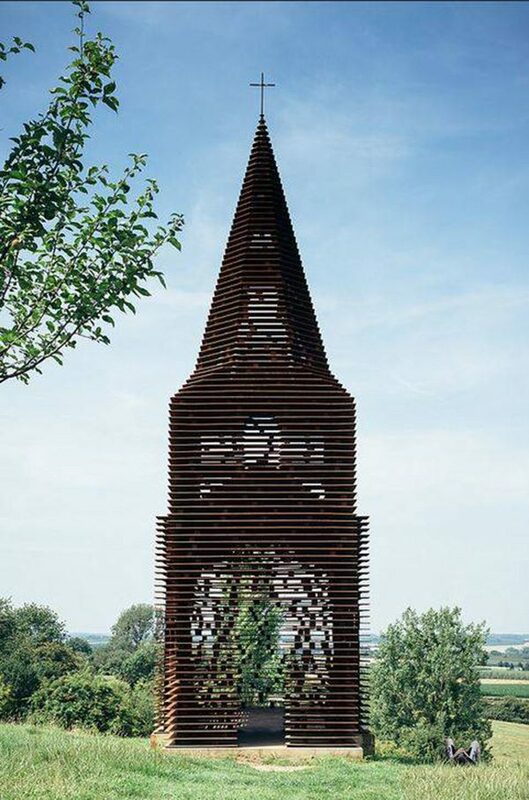 The architect group, Gijs Van Vaerenbergh, built this church in Borgloon, Belgium. 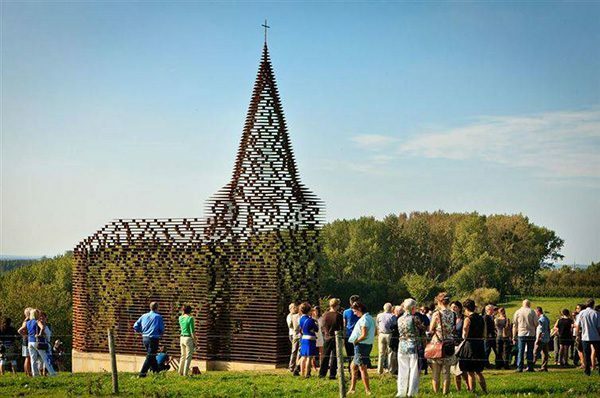 It doesn’t look like anything special… from certain angles. 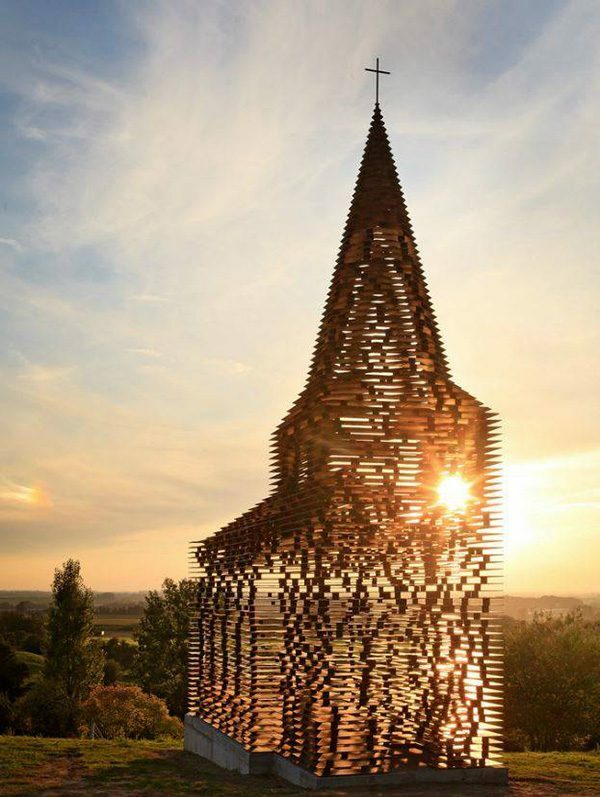 From other angles, the structure reveals itself to be something else entirely. 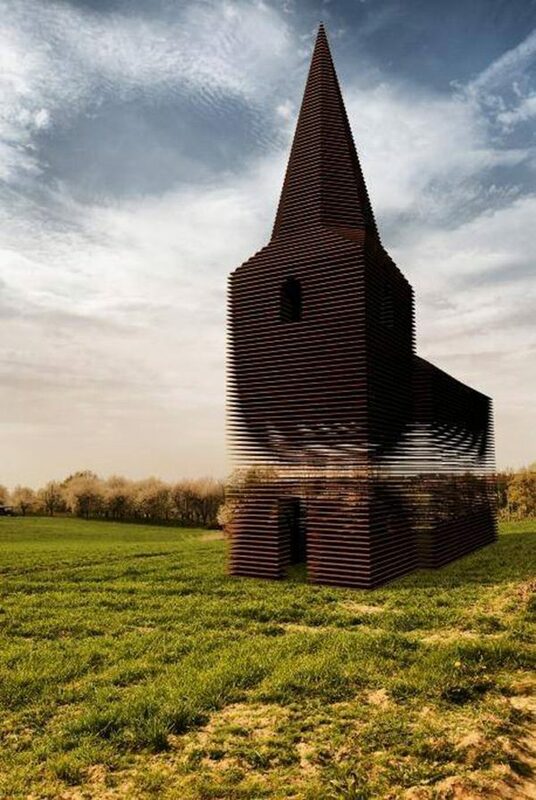 A building that’s almost entirely see through. 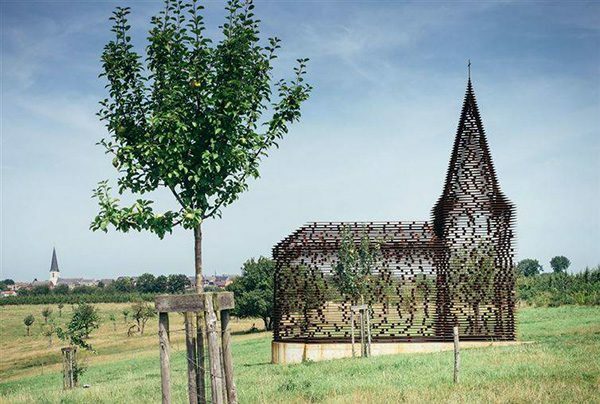 It consists of 100 layers of stacked steel, that are equidistantly staggered in a way that illusively change in appearance based on where the viewer is standing.